The cornett is a wind instrument that was very popular in the sixteenth and seventeenth centuries. The instrument is made by artisans today and is valued by early music musicians and enthusiasts. It produces a beautiful sound that often resembles the human voice. Although it looks like a wind instrument, the cornett has a trumpet-like mouthpiece. The term “early music” applies to works from the Medieval, Renaissance, and early Baroque periods. The music often sounds very different from that of today, especially in the older compositions. That’s part of its charm, however. I enjoy listening to early music and often find it intriguing as well as lovely. 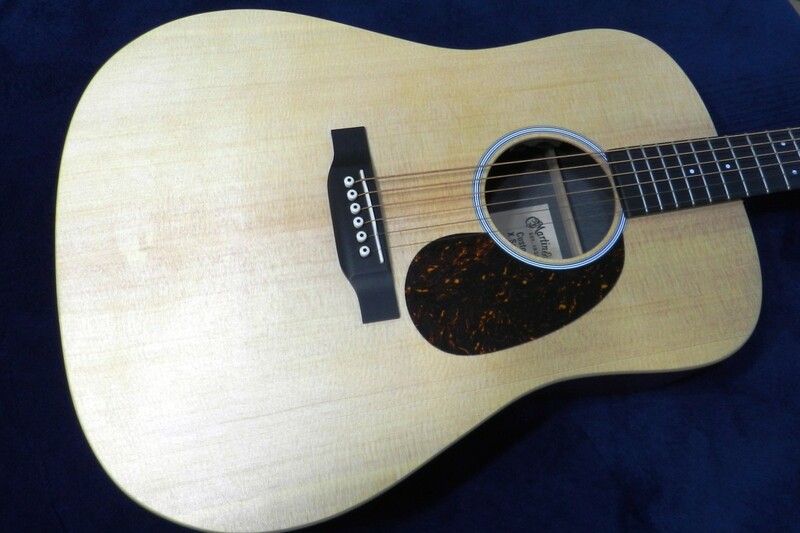 I’ve chosen to discuss the cornett in this article because I love the sound that it makes. Jeremy West is a notable cornett player. He's a founder of an early music group known as "His Majestys Sagbutts and Cornetts". The group spells the second word in its name without an apostrophe. A sagbutt (also known as a sagbut, sackbutt, or sackbut) is a trombone dating from the Renaissance and early Baroque periods. The cornett is a curved wind instrument made of wood and covered by leather. Its name was originally spelled with one t. Today it's spelled with a double t to distinguish it from "cornet", which is the name of an instrument played in brass bands. It was referred to as the cornetto in Italy and the zink in Germany. These names are sometimes used instead of cornett today in order to avoid confusion due to the pronunciation of the instrument's name. The cornett's wooden construction and finger holes cause it to be classified as a woodwind. The instrument has six finger holes on the front and one thumb hole on the back. Its cup mouthpiece resembles one from a trumpet, however, although it's smaller in size. The mouthpiece on historical instruments was made of horn, ivory, or bone and was usually detachable. In the video above, Jeremy West says that a cornett player covers finger holes as in playing a recorder but produces a sound as in playing a trumpet. He says that the cornett is really a hybrid instrument. The player uses lip vibrations to produce the sound, which makes the cornett a type of "lip reed" instrument like brass instruments. Some people prefer to classify the cornett as a member of the brass group instead of the wind instrument group even though it's made of wood instead of metal and doesn't have valves. Murray Campbell is a cornett player and researcher from the University of Edinburgh. 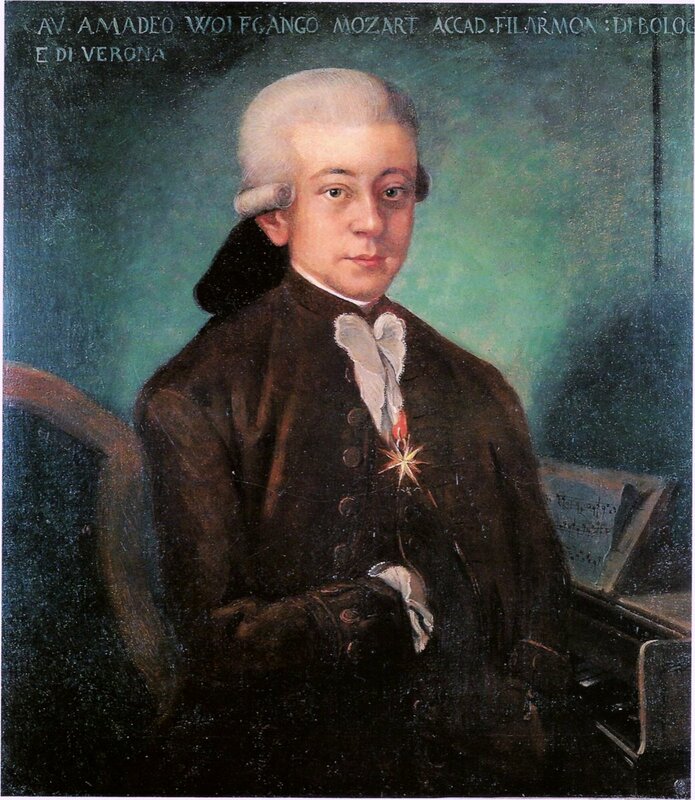 In the video above, he plays part of the "Deposuit" from the Magnificat in Claudio Monteverdi's Vespers of 1610. 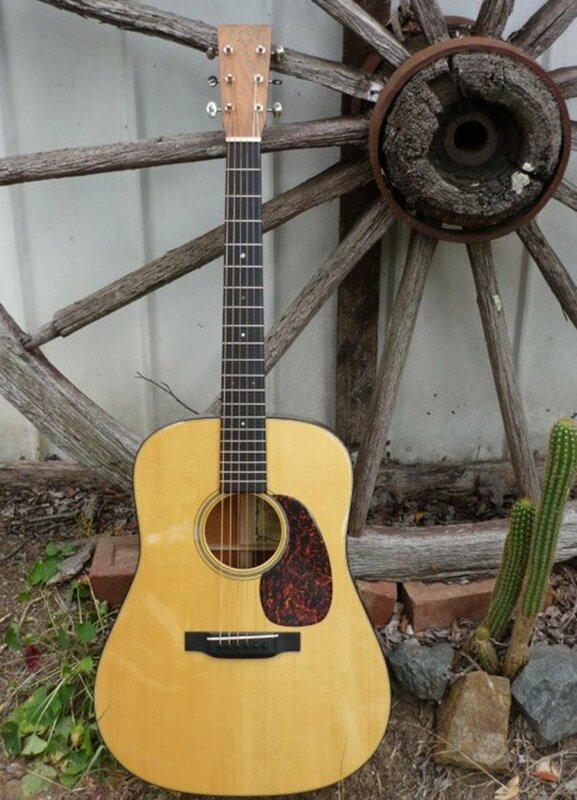 The cornett is said to be difficult to play and hard to keep in tune, but the sound that's produced was loved by listeners in the past and is enjoyed by cornett fans today. The fact that the instrument could emulate the human voice was considered a wonderful feature in the past. 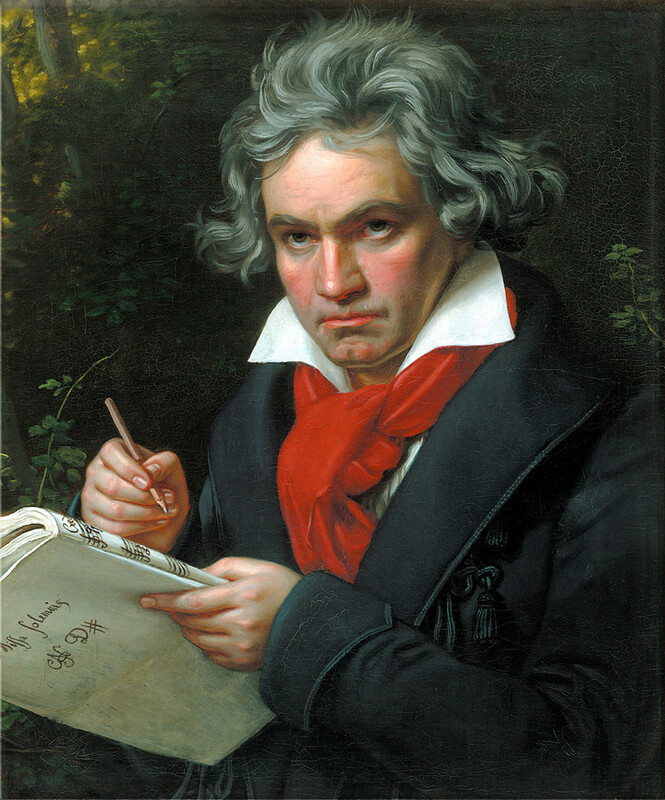 Virtuoso players of the instrument were once much admired by the public. According to Iowa State University, the cornett was played in churches and at court, in town bands and squares, and at dances. The instrument was often used to accompany choirs. Today the cornett is played by people interested in reviving early music traditions and by people who simply like its sound. Iowa State University's web page about the zink says that a good player can create a sound as loud as a trumpet or as quiet as a recorder. It seems like the brilliance of a shaft of sunlight appearing in the shadow or in darkness, when one hears it among the voices in cathedrals or in chapels. Mille Regretz is a melancholy but popular French chanson that is often attributed to Josquin des Prez. The song describes the singer's sadness and regret after he has deserted his loved one and his feeling that he won't live long without her. Bruce Dickey is a leading cornett player, teacher, and researcher. Like most early wind instruments, the cornett existed in different sizes that were capable of different pitches. The smallest instrument known today is the cornettino or the soprano cornett. Next in size is the treble or alto cornett. The s-shaped tenor cornett is the largest version of the instrument that is sold today (as far as I know). The soprano, treble, and tenor cornetts are the three vertical instruments on the left in the first photo in this article. 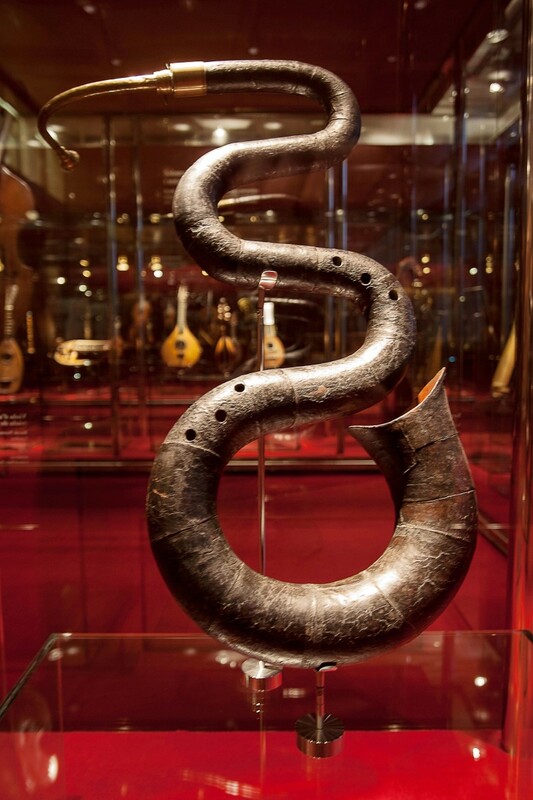 A base version of the instrument once existed, but it was replaced by the serpent in the seventeenth century. This instrument is described below. The most common type of cornett that is currently played is the treble version, usually referred to as simply "the cornett". The instrument often—but not always—curves to the right. Some historical instruments curved to the left and some were straight. The range of the treble cornett is two to two-and-a-half octaves. It starts at G3 in scientific pitch notation (the first G below middle C or C4 on the piano) and may reach as high as D6 or E6. Special techniques are needed to reach the extremes of the range. Some historical cornetts had interesting curves and ornamentation. 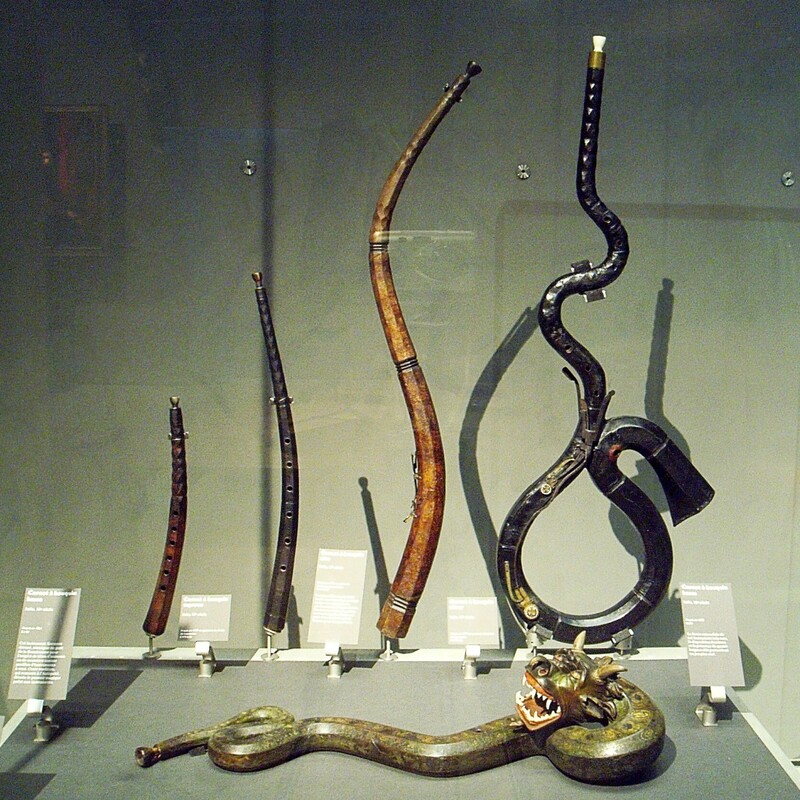 The serpent was (and is) an extreme example of an instrument with curves. It's descended from the cornetts but isn't classified as one. Like its ancestors, it's made of wood, has finger holes (but no thumb hole), and has a mouthpiece like a trumpet. Some people play the serpent in early music groups. Bruce Dickey and soprano Hana Blazikova perform together in Prague in the video above, creating a beautiful effect. A cornett is traditionally made by first shaping a piece of wood into a curve and then splitting the wood lengthwise. Each of the two sections is hollowed out. The pieces are then joined with glue and the surfaces planed so that the instrument has an octagonal cross section. A diamond pattern is often carved on the upper portion of the instrument. Finger and thumb holes are created. The two halves of the instrument are bound with leather to help keep them together and to prevent air from leaking out of the instrument. Creating a reconstruction of an early instrument or a replica that sounds like the original instrument can be a difficult task. If none of the original instruments have survived, we don't know what they sounded like. In this case we have to reconstruct an instrument from descriptions and illustrations found in old documents. If original instruments have survived, as in the case of the cornett, researchers may be able to play them and also study them to see how they're made. Recreating exactly the same sound in today's versions of the instruments using modern materials and methods may sometimes be challenging, however. Instead of striving for historical authenticity, at least one instrument maker of today creates resin cornetts (as well as traditional wooden ones). The resin versions have the advantage of being relatively cheap. They may encourage more people to experiment with the instrument and to explore music in general. They could be thought of as a cornett for the modern age. Some teachers suggest that a student starts with a resin instrument and then switches to a wooden one at a more advanced stage in their studies. I don't know how the sound of a resin cornett compares to that of a wooden one, though. This is an important consideration for me. Andrew Hallock is a cornett maker and a countertenor. The video above summarizes his creation of a wooden cornett. Why Did the Cornett Die Out? The cornett and skilled players of the instrument were once very popular. The cornett apparently died out in the eighteenth century, however. A few suggestions have been made as to why this happened. There may have been several factors involved in the instument's demise. The cornett was difficult to play and required lots of practice. Newer wind and brass instruments that were easier to play appeared, including the oboe. These displaced the cornett. Though the cornett sounded impressive when played by an expert, it probably didn't sound so good when played by less skilled people. This may have set the scene for the cornett's replacement in people's affections when newer instruments appeared. The instrument needs to be made carefully in order to provide the best chance of providing pleasant sounds that are in tune. If poorly-made instruments appeared on the market, they could have harmed the cornett's reputation. 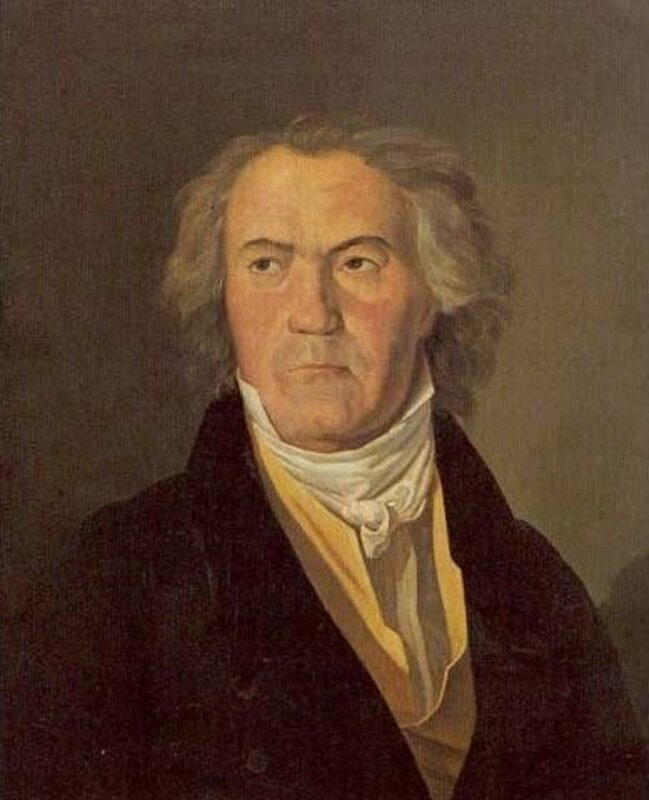 The role of the virtuoso player was transferred to violinists, decreasing the attention paid to cornett players. Some prominent cornett teachers are said to have died in the Italian plague of 1630. Interest in the cornett was rekindled in the early music revival of the twentieth century. The interest in the instrument and the manufacture of new cornetts continue today. In the video above, Murray Campbell gives an interesting description of an original and playable cornett from the seventeenth century. Instruments from the past are interesting to study. The exploration can give us information about the history and culture in an area or in a specific group of people. The study of old musical instruments and music can also give us new ways to enjoy the present. I enjoy listening to professional cornett players and reading about their research. The cornett can be very expressive when played well. Its music sometimes has a haunting quality. 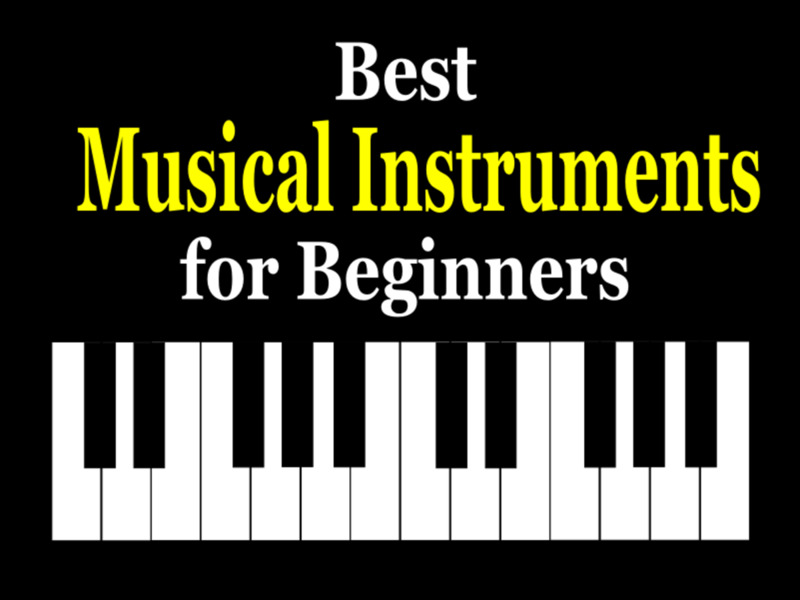 It can be a wonderful solo instrument as well as a great member of an ensemble. "Cornett,” Grinnell College Musical Instrument Collection, accessed February 3, 2018, https://omeka1.grinnell.edu/MusicalInstruments/items/show/61. What is a cornett player called? A person who plays the cornett is referred to as a cornettist (as opposed to a player of the modern cornet, who is known as a cornetist). I like the term "subtle trumpet", Rochelle. I think that describes the sound very well! I was also unfamiliar with this instrument. Thanks for introducing it with the pieces you selected. A beautiful sound, sort of a sophisticated and subtle trumpet. Hi, Peggy. I agree—some of the old instruments do resemble a work of art. Many of them both look and sound beautiful. Thanks for introducing me to a musical instrument of old of which I was unfamiliar. My friend in Germany plays a recorder. It is interesting to see the artistry used in the making of different cornetts shown in this post. Some of them are true pieces of art. Thank you very much, Tom. I think the cornett is an interesting instrument. Hi again, Bronwen. Early music groups that use the treble cornett exist, but I don't know of any that use the other sizes of the instrument. They probably exist, though. Thank you for your reply. Yes, it would be interesting to hear the different sounds they make. I wonder if there are any 'early music' groups that use these instruments. Thank you very much for commenting, Kathy. I appreciate your visit. Hi, Nell. Thanks for the visit. The sound of an instrument from the past can be very enjoyable. It's fun to explore the music. How fascinating! And I love their shapes. You never realise that a musical instrument is no longer used until you read something like this and think, oh yes, I haven't seen or heard of them for ages. Really interesting. Thank you very much, Chitrangada. It is a shame when musical instruments become extinct. It's interesting to hear the different sounds that they make. 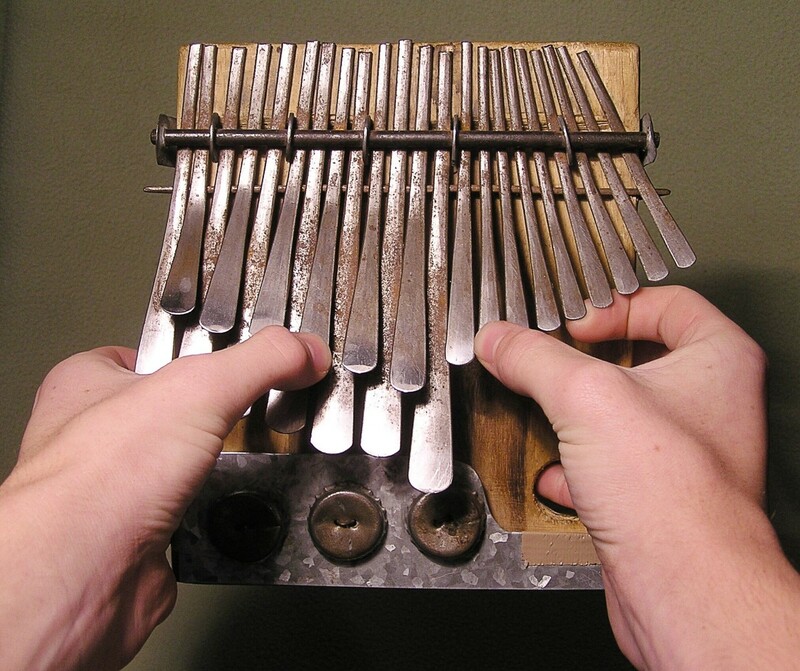 Interesting information about this wonderful musical instrument! It’s a pity that so many musical instruments are now extinct and we can see them in museums only. I am enlightened after reading your article. Thanks for sharing this well researched and well presented article! Loved the pictures and the videos. Hi, Kari. I'm glad that the instrument was rediscovered and is being made again, too. I appreciate your visit. Thanks for the interesting comment, Peg. The music does sound like the soundtracks from older movies, though I hadn't thought of that before. It does have a beautiful sound. And an interesting history. I'm glad someone took the time to learn and make these. Interesting detail on the history and construction of the cornett instrument. I enjoyed listening to the Mille Regretz concert. The sound reminds me of music soundtracks from older movies, a welcome reminder. Hi, Jill. I like the fact that the sound is mellow, too. It's often lovely to hear. Thanks for the visit, Devika. The cornett is unusual compared to other instruments today, but I think it can produce lovely music. What a beautiful, mellow sound it makes! I played the cornet in high school, the brass instrument. Thanks for teaching me about the cornett. I regret its popularity died out. It's simply lovely. Incredible! What a unique instrument! First to have seen it and you shared with such interest. Hi, Bronwen. 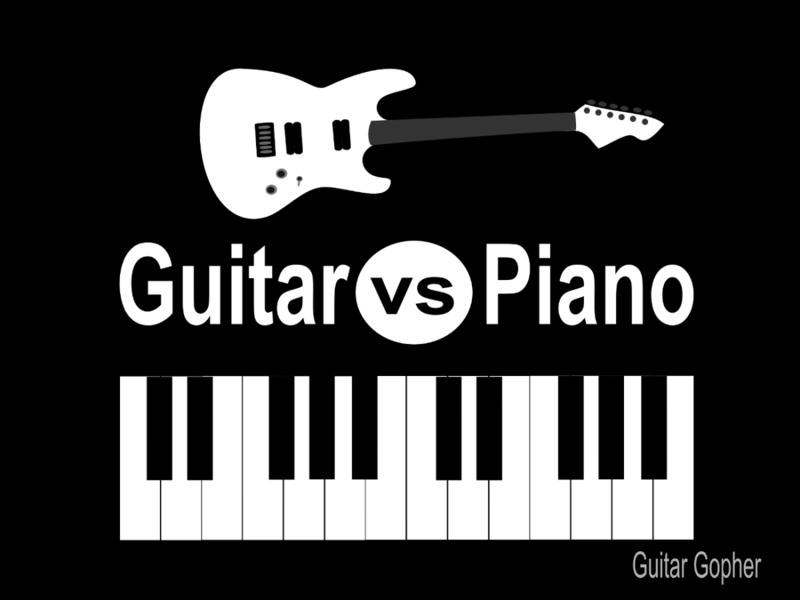 No, the different sizes and styles of the instrument have different pitches and range. It must be very interesting to hear all the sounds that they make! What an interesting article! There seem to be so many different styles of the cornett that you show in the images, the variety is fascinating. While some almost remind me of the didjeridu, others curl like a brass instrument. Would they all have the same pitch and range? Hi, Bede. I like the cornett better than the trumpet, for the reasons that you state. (I like your new word!) I enjoy lute music as well. It would be lovely to hear a duet between a cornett and a lute. Thanks for the very interesting article, Linda. I think I like the cornett better than the trumpet after listening to the beautiful piece by Josquin de Prez. It has a softer quality, less blairy (new word). Speaking of early instruments, I love the lute; it would be make an interesting duet with a cornett. Thanks for the visit and the comment, Natalie. I think I'll change the title a little in order to emphasis that the article is about the cornett. The words are definitely confusing! Hi Linda - Another interesting article. I also thought the article was about the brass type cornet and was a bit confused at first, given my relative lack of knowledge about wind instruments. As I was reading though it became clear this was something else entirely. The videos really add to the article and emphasize what you explain. Thanks for the education! Hi, Heidi. Yes, the cornett is quite different from the cornet! It's a shame that the names are so similar. Thanks for the visit. I hope you have a great week as well. When I looked at the title for the post, I thought it was the brass trumpet-like cornet. But now I see it's quite different. Didn't even know this existed. Again, you've expanded our knowledge base. Thanks and have a great week! Hi, Dora. I agree—the music can sound heavenly. I've never heard the instrument played badly, though. That might sound the opposite of heavenly! It is true: "Instruments from the past are interesting to study." Thanks for these interesting facts on the cornett. It sounds heavenly on the video. Thank you very much for the visit and the kind comment, Bill! Hi, Hari. Thanks for the comment. There are so many wonderful instruments to explore from the past and from around the world today. I wish I had time to listen to them all. I agree, Flourish. It is surprising that such an interesting sound can come from an instrument that looks so simple. I'm glad the cornett was rediscovered. Hi, Mary. "Magical" is a good word to describe the sound, at least when the instrument is played by certain people! I would love to visit the music museum. Is there no end to your knowledge about diverse topics? Fascinating read, really. I love your articles, Linda! Very informative about instrument of yesteryears music. There are so many instruments that have gone and going extinct. Music must have been richer in those days of sheer talent. Now commercial aspects that decide on the content of music and hence many instruments have gone out of style and importance. I never could have imagined that such beautiful sounds could come from such a simple looking instrument. Amazing! I enjoyed the history and found the insights about why the cornett went out of style especially interesting. I don't think I have heard this instrument played before. I have certainly seen them in museums. The music is magical and unique. I will certainly visit the one in the music museum here in Barcelona. Thank you very much, Shafqat! Thank you for playing the videos, Jackie. I think it's a shame when instruments disappear, too. I played all your videos. Very interesting. I think it a shame to have any instrument go out of use. Good coverage of the cornett, Linda. Very educational and entertaining.